In our never ending quest to find Spring, we created a rainbow – a big rainbow. We went on a color scavenger hunt for all of the colors of the rainbow, and placed them in an arc. 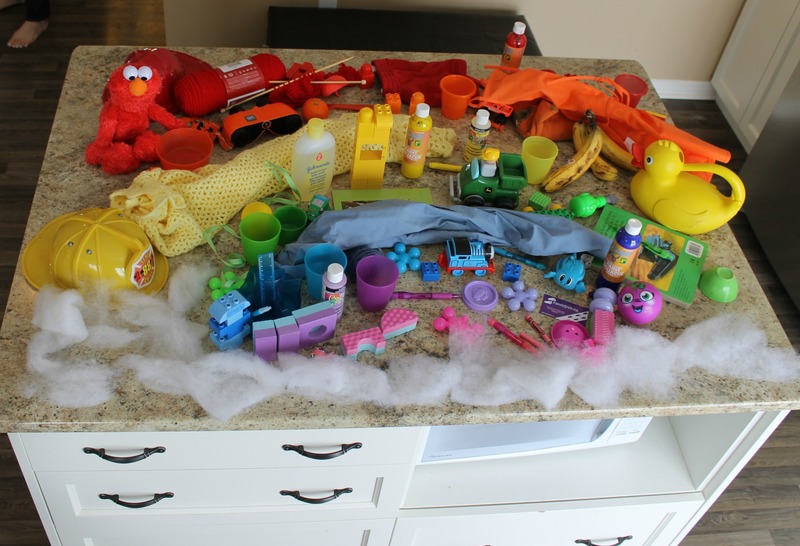 Nothing fancy – but truly a very engaging activity full of learning. We started with a rainbow colors song – which helped my little ones know what order the rainbow colors are. There are many out there – but we like this youtube version. In order, the colors of the rainbow are red, orange, yellow, green, blue, purple (indigo), and pink (violet). 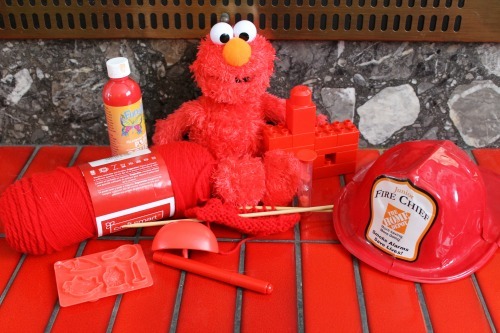 To begin our rainbow scavenger hunt we started searching for all things red. We kept our search to the indoors due to the 2 feet of snow that are still outside – but I can’t wait to do this outside in the (real) spring! We took this opportunity to let the little ones blow off some steam – climbing up and down the stairs, climbing up on chairs to look high, crawling on the ground to look low, actually lots of the things we did during our balloon games. Next, Madeline (11) placed these items in an arch and played with the different shades of colour while the little ones and I continued the scavenger hunt. I wasn’t sure how long we would play before they grew tired, but they were so into making their rainbow that we made it all the way to pink. And, I should mention listened to the rainbow colours song about 20 times too. We chose to do the colours one at a time to introduce my toddler (17 months) to the colours in this way. By focus just on red, he was seeing that one colour again and again and hearing the word red again and again too. Near the end of the colour search I would hold up two objects and ask him which one was red – sometimes he got it right – about 50% of the time (I’m kidding 🙂). He was certainly being introduced to the colours and their names. Once the colours were all arranged in order Madeline had fun taking some pictures. She is really loving photography. 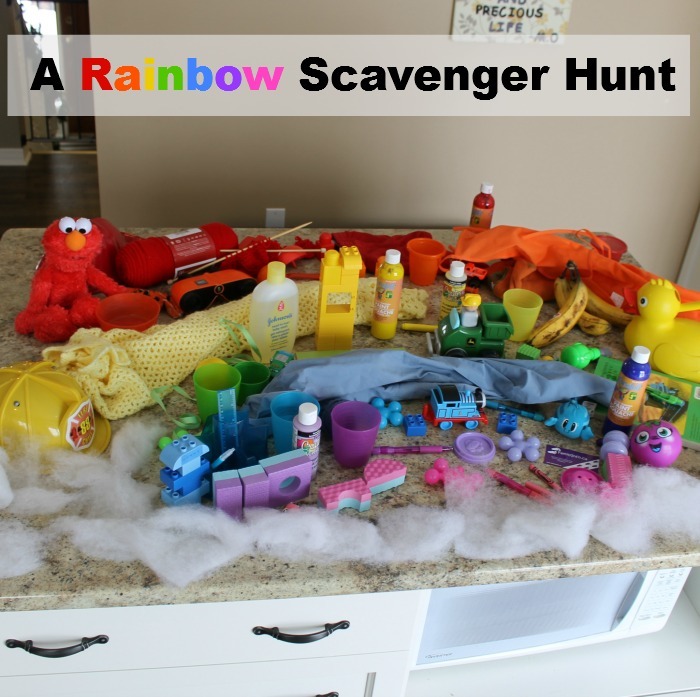 Although this rainbow scavenger hunt was mostly for my preschooler I like that everyone was involved and having fun together. Thank you so much for reading friends! I hope Spring finds it’s way to you very, very soon. Please consider liking us on Facebook so we can share more creative learning activities with you and your wee ones! Thank you. D0 you know how to remember the colours of the rainbow… this is how I learned to rememeber the colours..
Richard of york gained battle in Vain… the first letter of each word is a colour in the rainbow..
Can you say what they are???? Very cool – this one is new to me!! Thanks! Brilliant idea for learning colours. 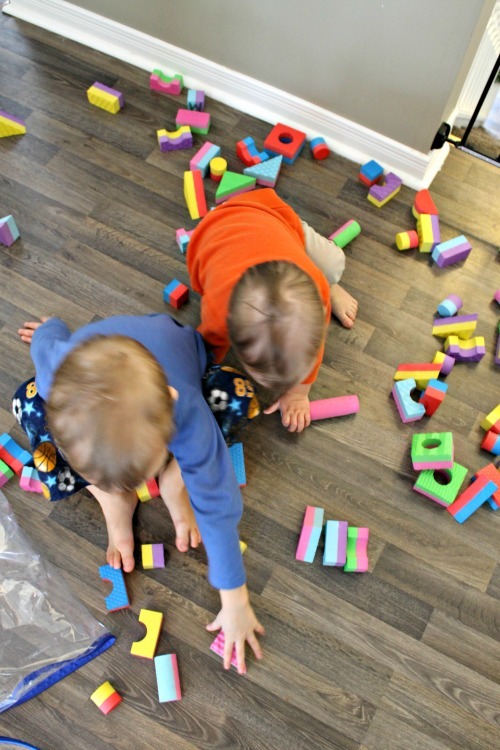 I hope you don’t mind, but I would like to highlight this post on a post I am doing about different kids of scavenger hunts – with a link back to you of course! How wonderful – thank you so much Ann!